Student loan debt is a growing problem in the United States. In fact, there is more than $1.4 trillion in outstanding student loans. All of that debt is leading many consumers — especially millennials — to worry about how they will reach other life milestones and goals. Student loans can feel especially daunting because of the tens of thousands of dollars often involved. There’s an urgency to just pay them off as quickly as possible. The first thing to recognize is that student loans often come with relatively low interest rates — at least compared to credit cards. It makes more financial sense to pay off higher-interest debt before you tackle the student loans. Keep making your minimum payments, but consider putting extra money elsewhere. Depending on your rate, you might be able to get a better return on investing. Over the last several decades, the S&P 500 has offered an annualized return of almost 10%. If you’re paying 3% to 5% APR on student loans, consider diverting some of your extra student loan payment. Put it in your retirement account instead. Plus, don’t forget that student loan interest is tax-deductible. This reduces the long-term cost to you. What are Your Time Horizons? Buying a house isn’t for everyone. However, if you are interested in buying and building equity, waiting until all your student loan debt is paid off to start saving for a down payment might not make sense. Rather than putting all your extra income each month toward paying down student loan debt, you can take some of that and use it to start saving for a home. The same idea applies if you want to start a business. Figure out how much you can put toward a business and still make at least your minimum payments on student loans. Getting a business off the ground can have a better long-term outcome than paying off your student loans a little faster — especially if your business success allows you the ability to pay off your debt quicker. Of course, if paying down student loans is a major priority, you might not want to divert part of your extra payment for these other goals. If that’s the case, look for ways to earn extra money. Start a side hustle. Pick up an extra shift. You can use the extra cash to work on other goals besides paying down your student debt. That way, you’re still making progress in your life and finances, rather than having everything on hold until the student loans are taken care of. 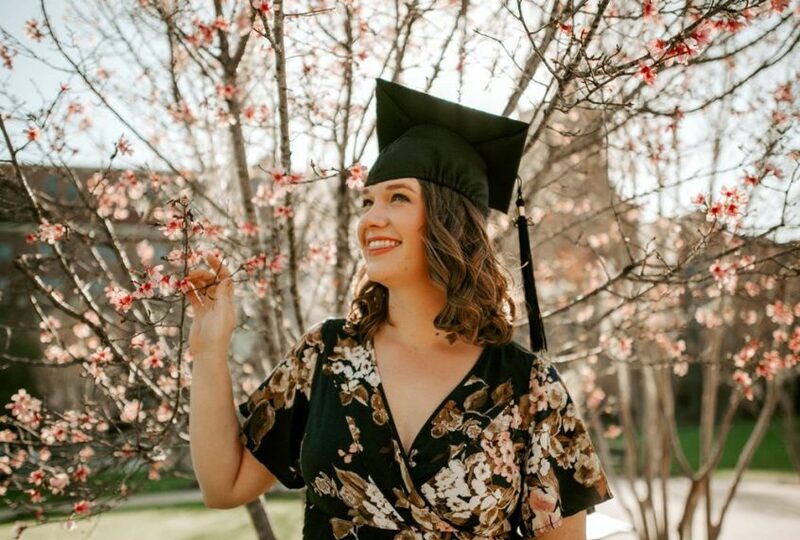 Perhaps you’re less worried about getting your student loans paid off at a faster rate and more concerned about how the high student loan payments are impacting your ability to meet your other goals or obligations. This is where other strategies can come in. First of all, if you have federal loans, you might be able to consolidate them. The standard 10-year repayment can be high — and you end up with multiple payments each month. Federal loan consolidation puts everything into one place and lengthens the loan term. You end up with a smaller monthly payment, freeing up money in your budget to do other things. Income-driven repayment is another possibility if you don’t make much money. If you are low-income and qualify, you can have your federal loan payments capped at 10% of your monthly discretionary income. Realize, though, that this means longer repayment and the costs can really add up over time. You can also refinance. If you have good credit and a decent income, you might be able to refinance to a lower interest rate — and get a lower payment as a result. You can refinance to a longer term as well. Just understand that refinancing or consolidating to a longer term comes with the risk of paying more in interest over time. You need to weigh the advantages of being able to work toward other financial goals. Building an emergency fund, paying down other debt, investing for retirement, or saving for a home might take precedence for now. For some people, it’s worth the extra interest to get a solid start on the future. Decide if it makes sense for you to reduce your payments today so you can get on firmer financial ground and make better progress on other goals. However, it’s also a good idea to see such measures as temporary. As soon as you start making progress toward your other goals, and as your financial situation improves, plan to return to tackling your student loans and paying them off early.